To slide into a pair of blue jeans is a milestone for Alina Vue. The 16 year old from Akron has suffered most of her life from a severe form of psoriasis that covered her from head to toe with painful, blister-like patches. The autoimmune disease causes overproduction of skin cells and also caused her joints to swell and ache. The condition has been debilitating, preventing her from doing every-day activities like going to school, leaving Alina house-bound and robbing her of sleep. She wore her clothing loose to protect irritated skin and her hair cropped short to keep the pulsing hot bumps on her scalp as cool as possible. Her disease, called pustular psoriasis, is rare in children and is difficult to treat. Over the years, Alina had seen many doctors and took many medications, some of which are designated for adults and aren’t proven for children. Treatments sometimes worked but their effectiveness didn’t last. 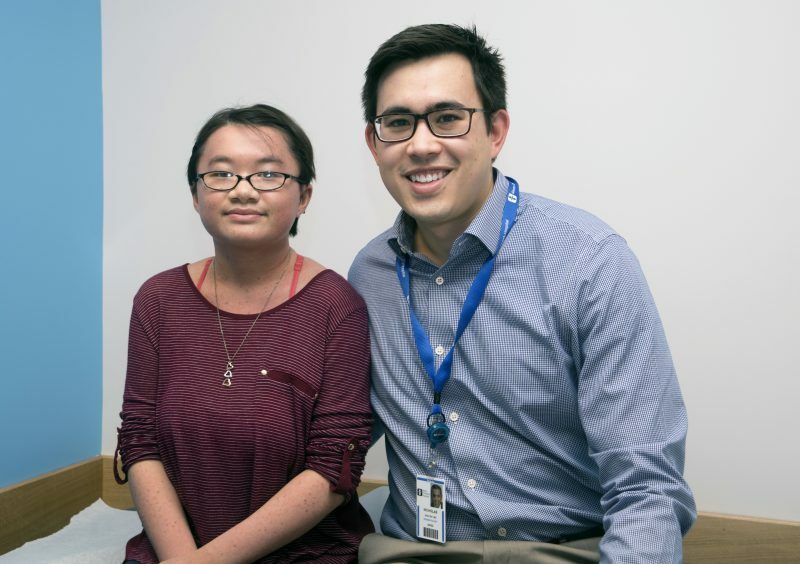 After Alina’s family moved from Tampa, Florida, to Akron last year, they were referred to Dr. Nicholas Nguyen, director of dermatology at Akron Children’s Hospital. He started Alina on ustekinumab, a biologic medication injected every 3 months. The drug, approved for psoriasis treatment in 2009, blocks faulty signals responsible for inflammation in psoriasis. A few weeks after the first injection in October, Alina’s psoriasis had significantly cleared. Today, after years of failed treatments, the medication has kept the disease in remission, including her joint inflammation (a condition called psoriatic arthritis). The medication has changed her life. 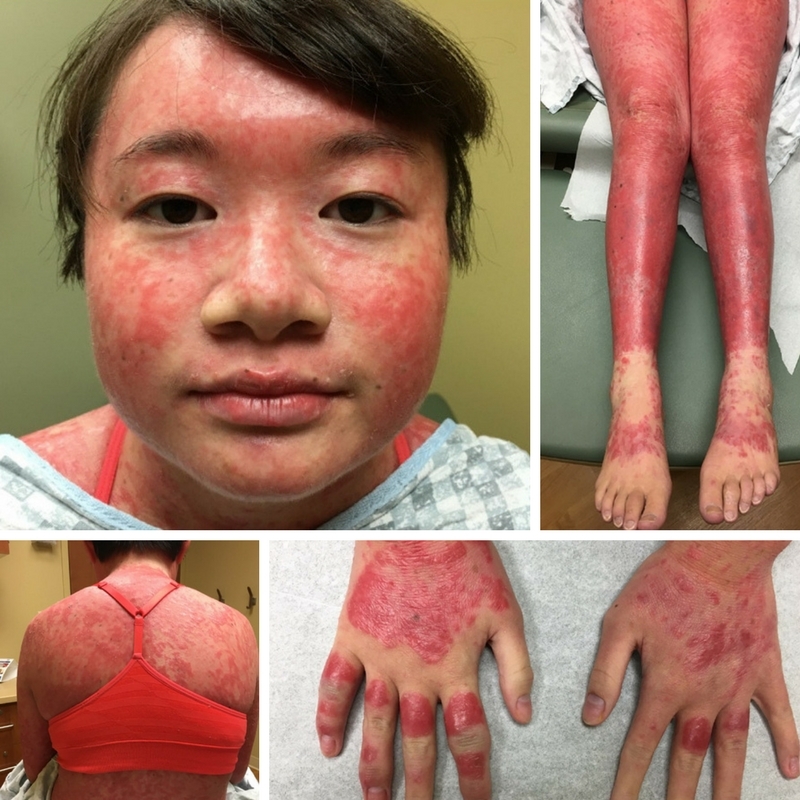 “Not only did her skin transform, but also her personality,” Dr. Nguyen said. “She became much more confident, much more social. The turnaround brought Alina’s mother, Mae, to tears. She recalled the time recently her daughter was able to bend her knees to reach a store item on a lower shelf. “She said, ‘Mom, I can do this!’” said Mae. Alina, who takes online high school classes, said she’s learning for the first time how to be with other teens. “It’s given me a chance to know friends my age, to be a teenager,” she said. “It’s a part of me I never got to grow into.